Interviews with one of the world's most stimulating creative talents Audiences internationally have been thrilled and moved by such remarkable and personal works as Robert Lepage's The Dragon's Trilogy, Needles and Opium and The Seven Streams of the River Ota; versions of world classics like Strindberg's A Dream Play and Shakespeare's The Tempest, Coriolanus, Macbeth and a solo Hamlet; and films including The Confessional and Polygraph, a version of his stage play. In these revealing interviews with Quebec journalist Remy Charest, Lepage explores the sources of his creative inspiration and the compelling ideas that have animated his best known productions. 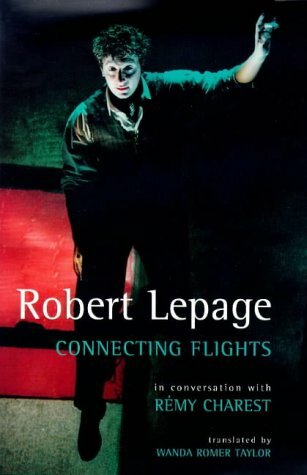 He reveals strong views on art, culture, place and politics.In these lengthy interviews with Quebec journalist Remy Charest, Lepage explores the sources of his creative inspiration and the compelling ideas that have animated his best known productions. He reveals strong views on art, culture, place and politics.